The role of women in society is crucial and so is their health, which is of utmost importance for their personal and professional success. The well-being of a family is more or less dependent on women. Menstruation is the natural process of discharging blood and tissues from the uterus, which happens when the egg that is released from the ovaries does not get fertilized. This means that no pregnancy took place and the uterus is now getting ready for the next cycle. On an average,the cycle takes from 28 to 30 days,although it differs with every women,depending on their estrogen and progesterone levels. Most women experience regular cycles although there may be some who experience short irregularities in their menstrual cycles. This irregularity is usually caused by stress, irregular sleeping hours and general fatigue. A long-term irregular menstrual cycle may be a sign of a more serious medical condition. In such cases, if they experience heavy flows during the menses,accompanied by symptoms such as abdominal pain before and after menses, they should consult a doctor. There are factors that contribute to long-term irregular periods as such fluctuation in women’s levels of estrogen and progesterone which creates disruption in the normal cycle, taking of some blood thinners or over consumption of alcohol. Other causes being PCOD, chemotherapy, recent child birth, breastfeeding, miscarriage, fibroid in the uterus, thyroid disease, endometriosis, significant weight gain or even malnutrition. Homeopathy is an ideal cure for irregular menses and Homeocare International carries out a holistic assessment of all the factors before the start of treatment. Treatment process involves triggering hormonal production to restore hormonal imbalance. Slowly, regular cycle is restored in women,thus restoring their fertility and also overall health. For finding the right cause and an ideal cure for irregular menses, contact Homeocare International today. 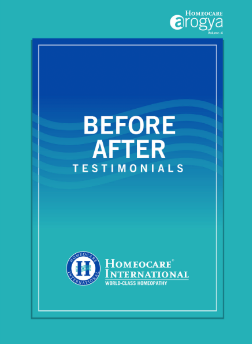 Homeocare International also provides relief from thyroid diseases. While hypothyroidism is one of the major cause of infertility, hyperthyroidism is a disease in which the thyroid produces too many hormones with the symptoms like hair loss, weight loss, increased heart rate, nervousness, frequent bowel movements, perspiration and menstrual irregularities.